Microsoft has released news on the forthcoming Windows 7 family pack and has detailed the phased release of the client code in the run up to the official launch in October. The key news is that Windows 7 release to manufacturing (RTM) has now happened. RTM basically means that Microsoft considers the OS finished and ready for mass-production on CDs and distribution to original equipment manufacturers (OEMs) for them to install Windows 7 on new PCs. 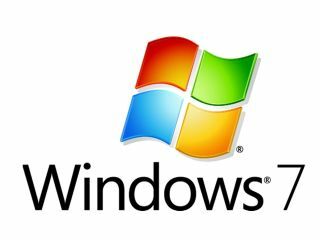 The official launch of Windows 7 is scheduled for October 22, but if you are a TechNet or MSDN subscribers then you will be able to download Windows 7 RTM prior to that point, according to Microsoft's Windows 7 evangelist Brandon LeBlanc on the Windows Team blog. Le Blanc adds that: "A special thank you to our beta testers is needed for their time and effort in helping make Windows 7 a solid release. "The special pre-order offer we did offering Windows 7 Home Premium and Windows 7 Professional at almost 50% discount was done with our beta testers in mind. And many of you jumped at the chance to take advantage of this deal – thank you!" And while "Beta testers will not automatically receive a free copy of Windows 7" Le Blanc notes that "many beta testers are already subscribers to TechNet; those of you who fit that description will be able to download Windows 7 RTM shortly after RTM happens for free as part of your subscription." For more details on the Windows 7 RTM head over to the Windows Team blog.